Improve flexibility, build strength and edurance and feel better! MU faculty & staff can earn 10 points per class toward their Tier 2 Wellness incentive — up to 200 wellness points under Physical Activity. 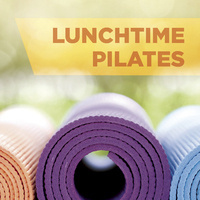 Lunchtime fitness classes are a great way to reduce stress, boost energy levels and improve your well-being. Bring your own mat and wear comfortable clothing that will allow you to move and stretch fully. All levels are welcome!